DISH Network provides the best HD channel lineup around, with television and movies to keep your entire family entertained. 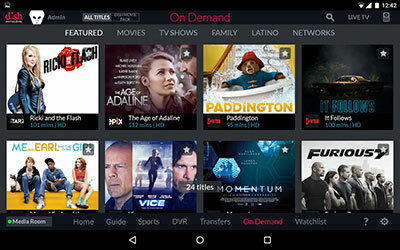 When you use the Hopper and the DISH Anywhere app, you can watch your HD content on your television, computer, tablet or phone – never be without your favorite programming! Wondering which channels are available in your area? Check out our channel guide below to view DISH Network’s HD channel lineup and discover why you should order DISH today! Which package has the DISH TV channels you really want? Wondering which of our DISH TV packages is right for you? Whether you’re switching to DISH or you’re an existing subscriber looking to upgrade your channel selection, you can use the handy guide below to compare the DISH Network channels included with each package. Ready to get your DISH service within as little as 24 hours and start enjoying your new DISH Network channels? Give us a call at 866-989-3474 now or order online!